If you're like me, you have barely recovered from Christmas when you realize that New Year's Eve is like, tomorrow! 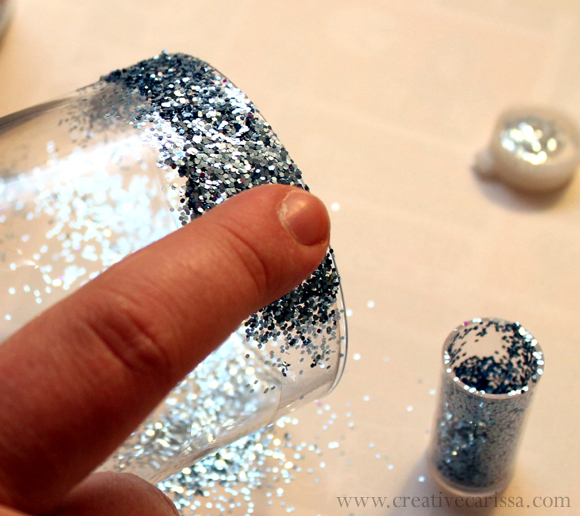 If you're also like me, you may not have made anything crafty for New Year's. 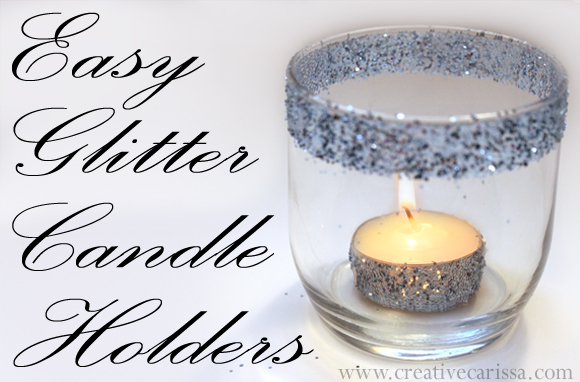 Well, worry not because these candle holders take all of 7 minutes to make and only require 4 ingredients! I got everything at the dollar store (or had it on hand from a previous dollar store trip) except for the tumblers, which I picked up at Wal-Mart for $2 for a set of 4. 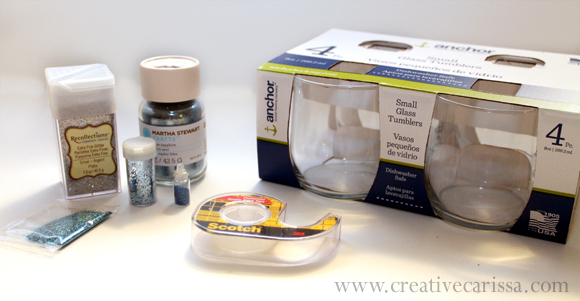 Step 1: Apply double-sided tape around top of tumbler. 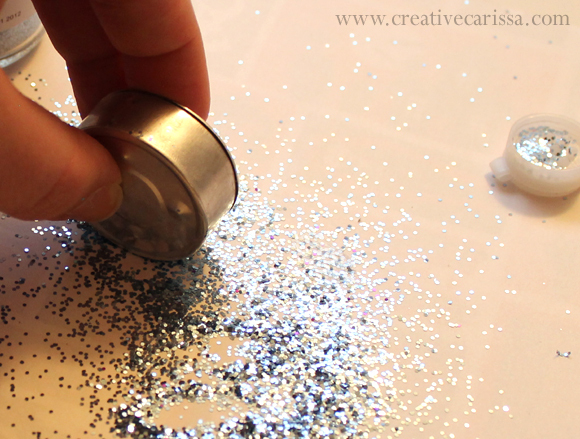 Step 3: Press glitter down with your finger before shaking off excess. 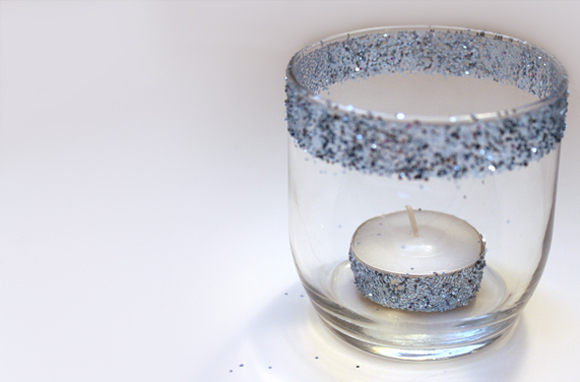 Step 4: Apply double-sided tape to tealight. 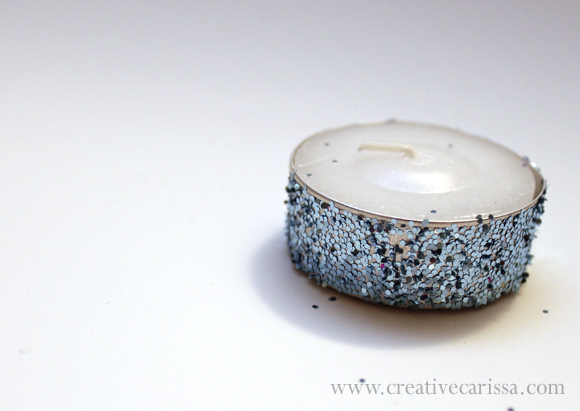 Step 5: Roll tea light in the excess glitter from the tumbler. 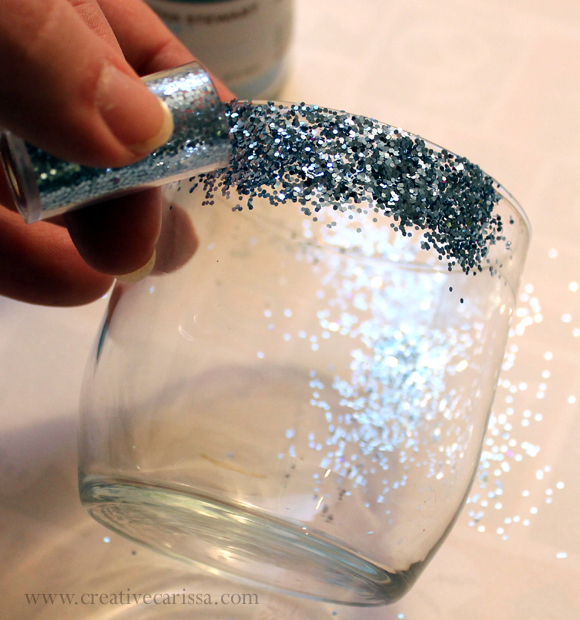 Step 6: Insert into the tumbler, light and go! Don't just stop at using these for New Year's decorations. 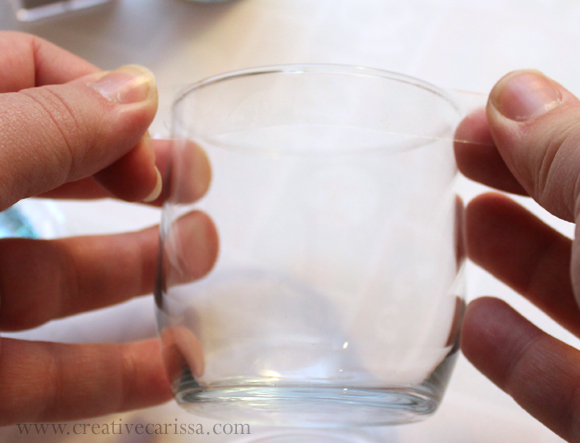 Use pink and red to make pretty valentine's candles. 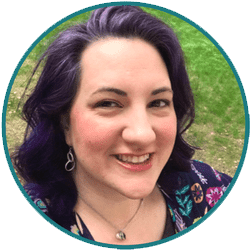 Green for a little luck o' the Irish in March. The possibilities are only limited by your glitter supply! 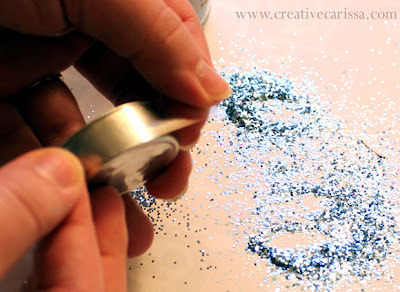 I heart glitter Carissa, so I love this DIY! I just included it in my roundup of 15 New Year Crafts & DIYs on my blog! :) Happy New Year!